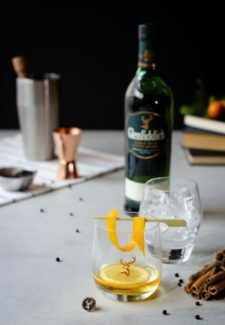 Glenfiddich, the world’s most awarded single-malt whisky reinvents the single-malt serve with the launch of ‘Glenfiddich Experiments’. Known for its challenger spirit and the passion to push boundaries, ‘Glenfiddich Experiments’ will offer single-malt curation, unlike anything India has seen before. 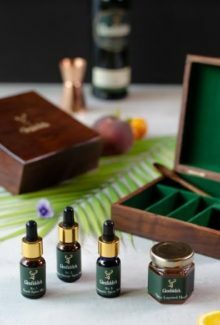 The ground-breaking initiative is a result of a collaboration between the Glenfiddich and Malabar Secrets, a niche state-of-the-art natural spice flora extracts brand. The ‘Glenfiddich Experiments’ experience re-defines the rules of traditional single malt serve by exploring and handpicking exotic ingredients that are specialties of India’s diverse landscape and bringing them to magically fuse with Glenfiddich’s best. Carefully curated by the Glenfiddich India Brand Ambassador, Angad Singh Gandhi, the highlight of these serves are the specially designed elixirs that uplift the sublime Glenfiddich 12-year old to even greater heights. Comprising of three exceptional elixirs – Bitter Sweet Symphony, Dufftown Confluence, Sweet Obsession that have been formulated by bringing together fine ingredients such as the fragrant Mysore jasmine, spicy Malabar clove, Kerala black pepper, cinnamon from the Western Ghats, bitter orange from Nagpur, the Kashmir peach, spiced coriander from Karnataka and other unique handpicked spices to create the perfect background for aromatic elevation. The menu is a concoction of thoroughly researched recipes with groundbreaking experience and innovative additions that promise to be a revolution for single-malt lovers. The drinks will be available across premium bars and restaurants in Delhi, Mumbai and Bangalore.